The LIGHTWALL 3440® interlocking polycarbonate translucent wall system from Exterior Technologies, Inc. (EXTECH) contributes to the aesthetic, performance and sustainability goals of agricultural and manufacturing facilities, airport hangars, parking garages, retail centers, hotels, schools and places of worship. "As our most popular product, the LIGHTWALL 3440 offers a beautiful, durable and economical solution for building envelopes and skylights," says EXTECH Director of Product Application and Development Kevin Smith, R.A. 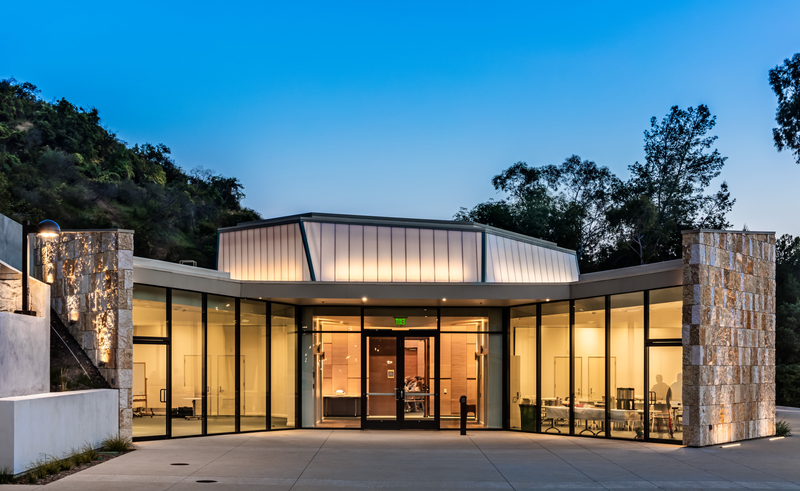 Among its project success stories is the Leo Baeck Temple in Los Angeles featuring EXTECH's LIGHTWALL 3440 system as a skylight capping its Jewish community campus center. Approximately 8 feet tall and 145 feet around and possessing many and varied angles, the translucent polycarbonate skylight conveys the sense of a floating gem with an ethereal glow. To achieve a diamond-like look and precision, EXTECH provided its LIGHTWALL as a tongue and groove system customized to the structure. In addition to EXTECH, the project's design and building team included Architect 350, Sierra Pacific Constructors and Cal Pac Sheet Metal. Close collaboration was necessary to guarantee a seamless integration and installation. "One challenge, from an engineering aspect, was getting our facets to match the face of the steel structure to which the system would attach," explains Smith. "As part of our shop drawing and fabrication process, we ensured a weather-tight building envelope by pre-fabricating all the corner miters and sloped head/sill/jamb conditions to exact angles before shipping to the job site. 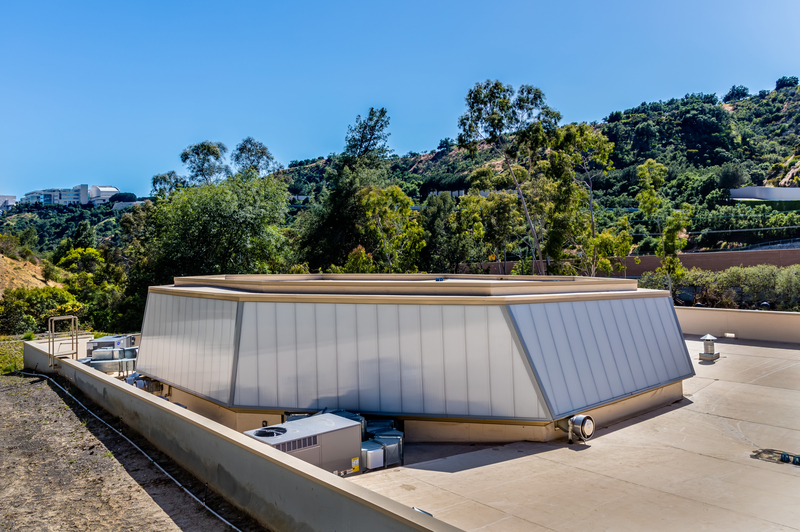 This was a quality control measure that guaranteed each piece of the roof cap would fit precisely without the need for field measuring and cutting, which substantially accelerated Cal Pac Sheet Metal's installation process." Lightweight, easy to install and backed with a 10-year warranty, the LIGHTWALL system helps construction teams facing condensed schedules, and facility managers seeking low-maintenance longevity. "Our LIGHTWALL 3440 system can extend up to 54 feet long and eliminate leak-prone horizontal joints," Smith continues. "It meets demanding performance specifications, including high wind loads, impact resistance, fire rating, air infiltration, water penetration, thermal (0.25 U-Factor) and structural performance." 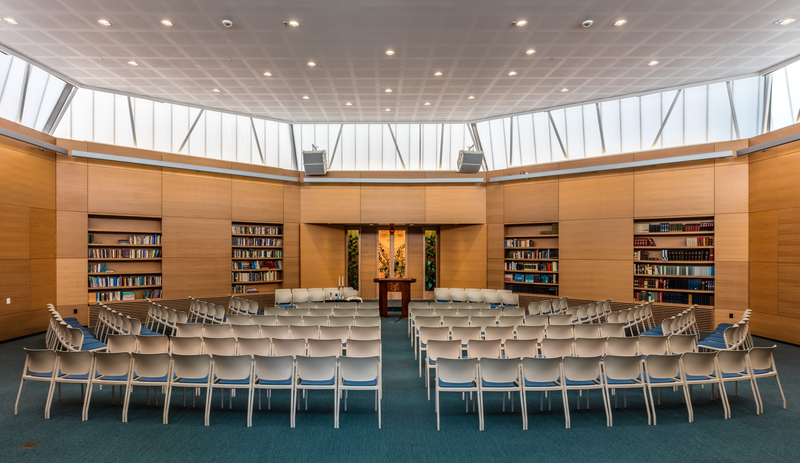 The temple's finished skylight not only achieves the desired aesthetic and performance, but also supports Leo Baeck Temple's environmental standards. LIGHTWALL 3440 uses highly insulating, 100 percent recyclable, 40 mm structural cellular polycarbonate and 38.95 percent recycled aluminum framing. "Our LIGHTWALL system does not require framing members within the field of the glazing, which allows for a clean, modern architectural aesthetic," notes Smith. 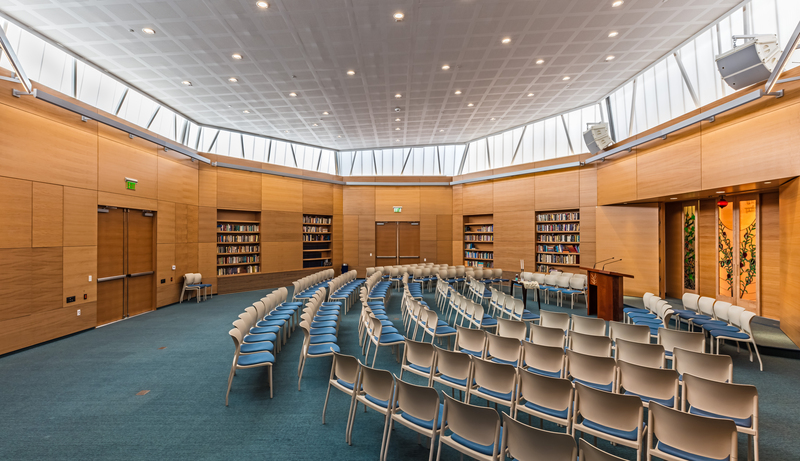 In addition to its recyclability and modern appearance, the polycarbonate skylight provides energy-efficient daylighting and reduces solar heat gain to keep people comfortable within the space during congregant activities and concerts. Viewed from the exterior, the diffusing characteristics of cellular polycarbonate reduce light pollution emanating from the building, which contribute to making it a good neighbor within California's San Fernando Valley. * Images courtesy of Barry Schwartz Photography and EXTECH, Inc.